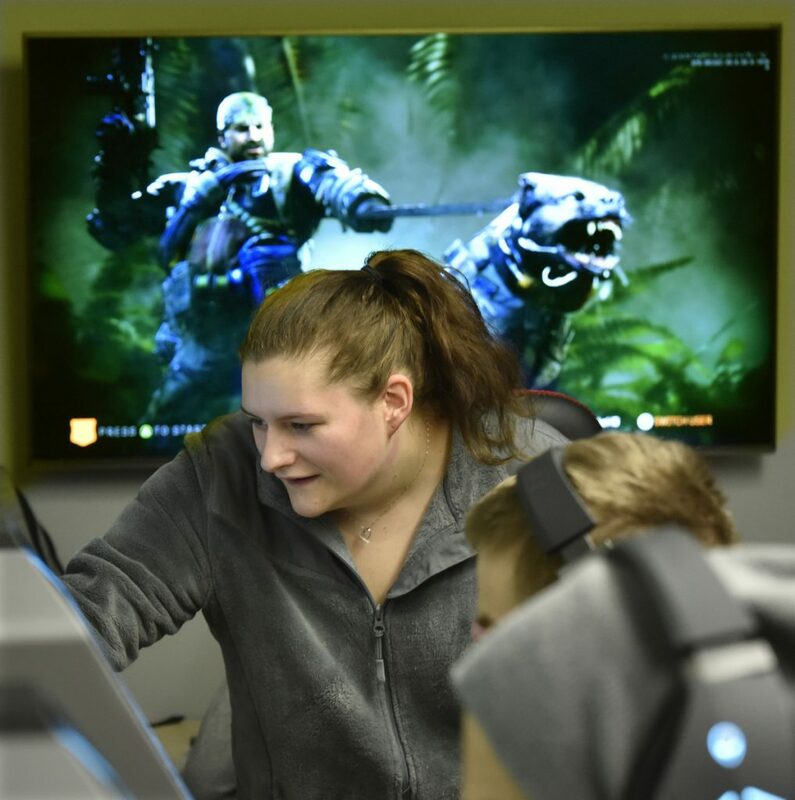 As the image of an armed soldier and an attack dog looms above Thomas College student Courtney Rhotem, she watches another student play a video game Tuesday in a room filled with monitors and computer consoles known as the CAVE, the home of Competitive, Academic Varsity eSports on the Thomas campus in Waterville. 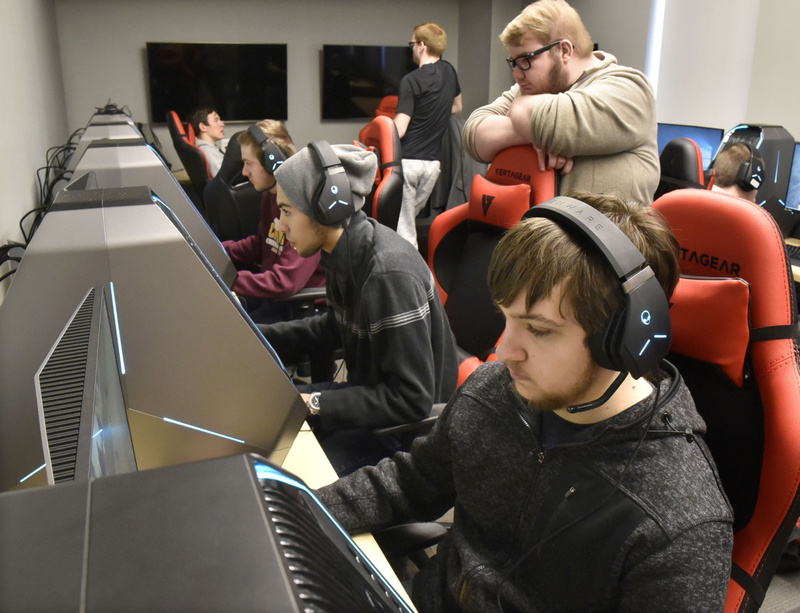 Thomas College students play serious video games Tuesday inside the popular CAVE room, the home of Competitive, Academic Varsity eSports on the Thomas campus in Waterville. 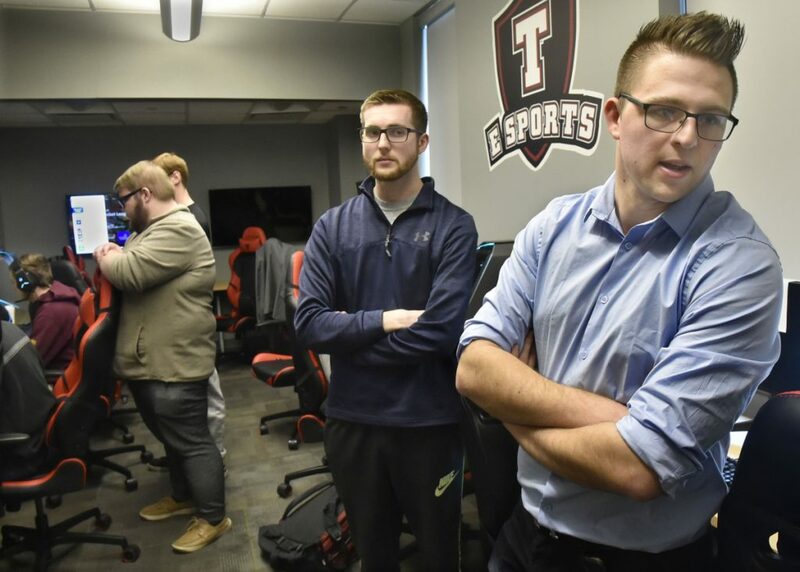 Thomas College student Ryan Hemenway, left, and gaming coach Martin Schelasin watch over the action Tuesday in the popular gaming room known as the CAVE, the home of Competitive, Academic Varsity eSports on the Thomas campus in Waterville. Thomas College student John Farrington immerses himself in the sounds and sights of "Call of Duty" on Tuesday as he tries to stay alive and eliminate his adversaries while playing the video game in the CAVE room, the home of Competitive, Academic Varsity eSports on the Thomas campus in Waterville. 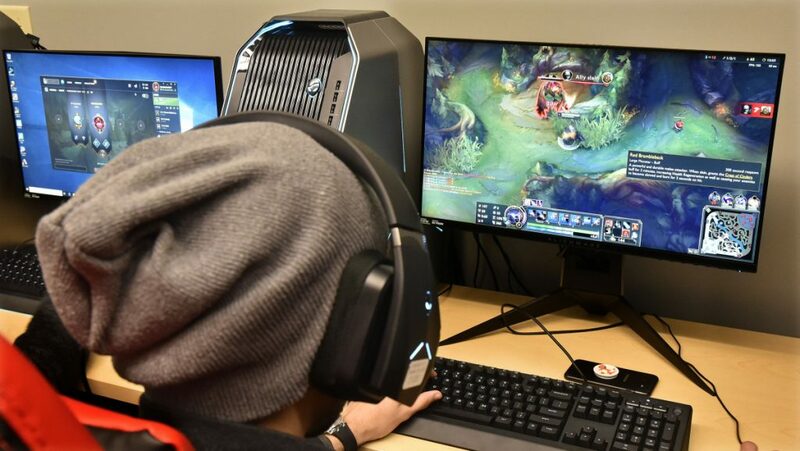 Thomas College student gamers including Marcus Vaillancourt, front, engage in video games Tuesday in the popular CAVE room, the home of Competitive, Academic Varsity eSports on the Thomas campus in Waterville. 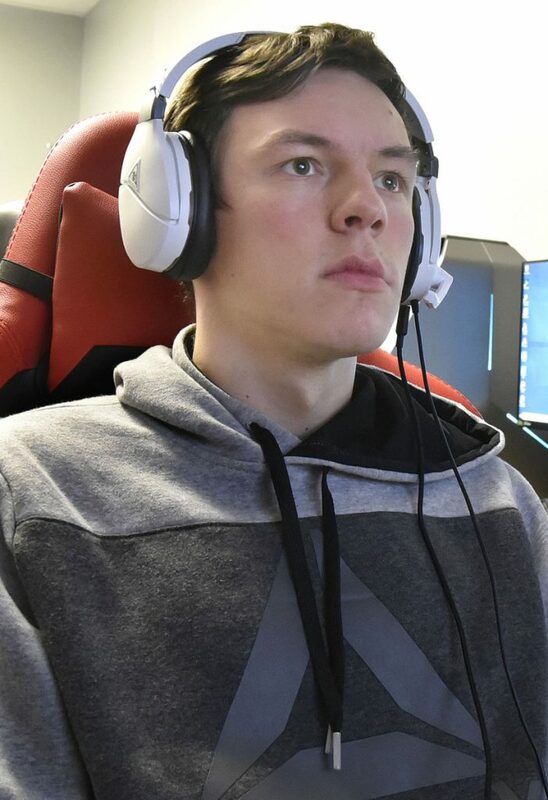 Thomas College student John Farrington begins playing "Call of Duty" on Tuesday in the CAVE room, the home of Competitive, Academic Varsity eSports on the Thomas campus in Waterville.